In the 1950’s a graduate student at what is now Carnegie Mellon University conducted an experiment to determine what relatively low levels of ionizing radiation would do to a mixed cohort of hooded laboratory rats. He found that the closer the rat colonies were to the source of the low level radiation, the better they did on maze and learning tests. The finding was directly opposite of his hypothesis, of course, so he repeated it two more times. Each of the times he repeated it, the result was the same - consistently recorded enhanced performance for those animals nearest the low level radiation source. This phenomenon has since been called “Hormesis”. The hormetic response suggests the opposite of “conventional wisdom” is true (“Conventional wisdom” being a pervasive oxymoron, of course.) 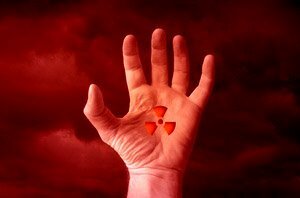 At low levels, perhaps a chronic dose of radiation can actually benefit you. As if to underscore that theory, statistics also show that – of all people – professional workers at nuclear power plants actually have a lower incidence of on the job illness and a higher post retirement longevity of any other class of worker in America.